Which Class Do I Need? 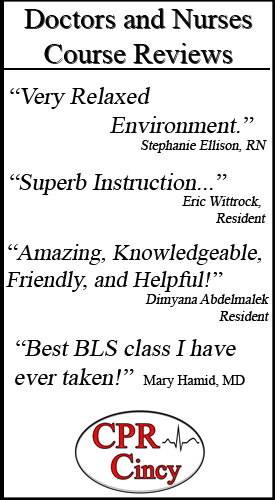 Thank you for choosing CPR Cincinnati for your BLS Class Certification. Here’s some important information about your upcoming class. The American Heart Association requires that every student has the 2016 or later edition of the AHA Basic Life Support book at the time of class. If you didn’t order a book with us, make sure you bring one to class. If you arrive to class without the required book, you can purchase one before class begins in order to participate in the class. Your instructor can assist you with this on the day of class. If you ordered a book with us, it will be waiting for you at time of class. Your BLS Class will last around 4 hours. You do not need to bring anything except your BLS book. If you purchased a BLS book from us, then it will be waiting for you when you arrive and you do not need to bring anything. There is no required preparation prior to this class. All information and skills will be taught and practiced during class. There are NO REFUNDS for classes or books that were purchased and scheduled. 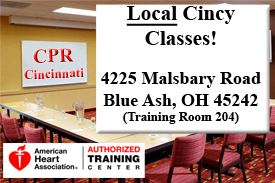 You may reschedule a class, if necessary, by emailing info@CPRcincy.com with that request before your scheduled class. If we do not receive a request from you prior to your class, we do not offer a refund and you may not reschedule. If you do not pass the course, we will allow you to study the materials and reschedule for a future class. We allow this as a courtesy one time only. 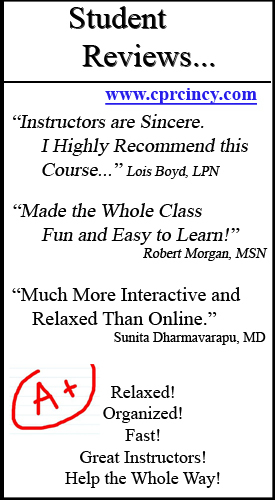 If you are not successful on the second try, you will have to purchase the class again. 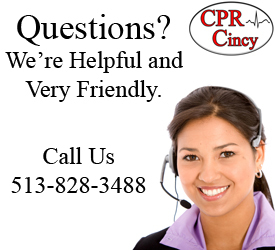 If you have any questions, please email us at info@CPRcincy.com or call us at 513-828-3488. 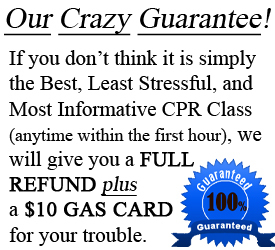 © 2018 CPR Cincinnati | BLS, ACLS & PALS Classes | CPR Certification All rights reserved.